Do you like Hole.io? Share it with your friends. 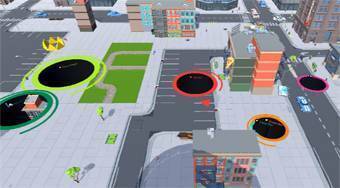 Move around with a black hole across the city, eat cars, people, buildings, and the holes of other players around the world.